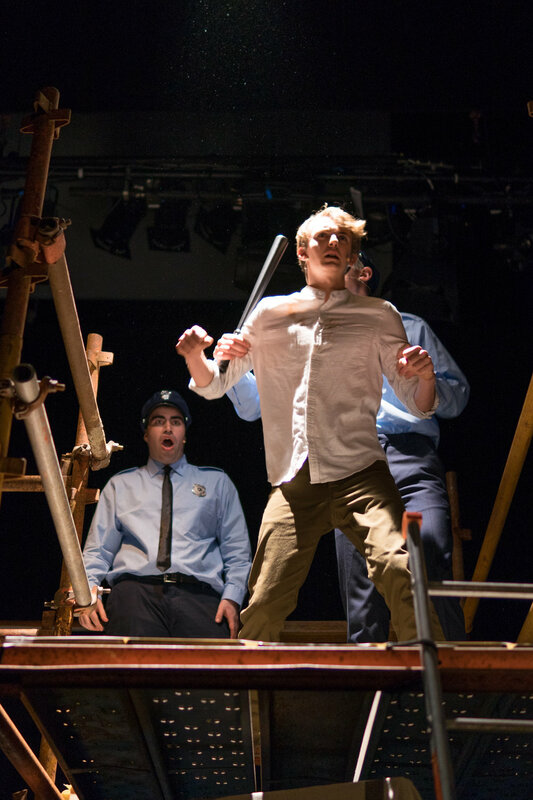 The Just So Society's Urinetown: the Musical, with a cast of 18 and a crew of 21, was an unusually large student production, and was an opportunity for myself and Danielle to challenge ourselves on the skills we had been developing as theatre-makers. Urinetown is a great example of what I love in the theatre - there's no denying the relevance of a world thrown into disrepair, with a repressed working class struggling to survive under the regime of an overbearing American business tycoon - the show has a political message, but it is couched in terms of a parody of Broadway musical form, making it a very funny and accessible show which still does not lack in punch. This was a very carefully researched show, and I put in about 4 weeks' research before going into rehearsal, understanding the period, the motivations behind the writing of the show, the intellectual background from which it was born, and its resonances today. 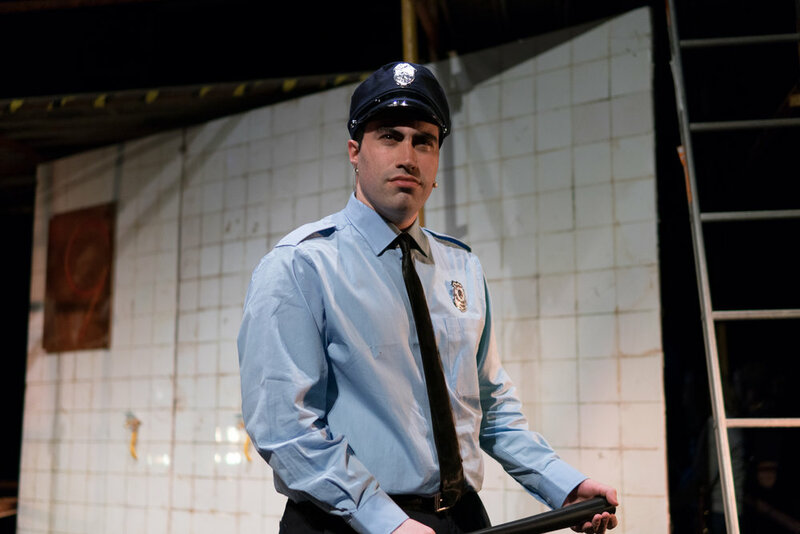 I had seen a production before, and despite musical theatre being a fairly prescriptive form, I wanted to ensure that ours was the best version of this show I could imagine. This research fed directly into every aspect of the production - it affected by ideas about design as well as the way I led rehearsals. The show is, in a big way, about theatre, and we wanted to take some of the old broadway 'magic' into our production - this was done with a front of stage gauze with a 'reveal' in the opening number, and with real running water from taps under our scaffolding which 'ran dry' in the finale of the show. It was incredibly gratifying to see this ideas go from a conversation I had in my living room with the producer/designer, to watching the audience gasp and smile as they happened onstage. It gives me a lot of faith in my instincts. 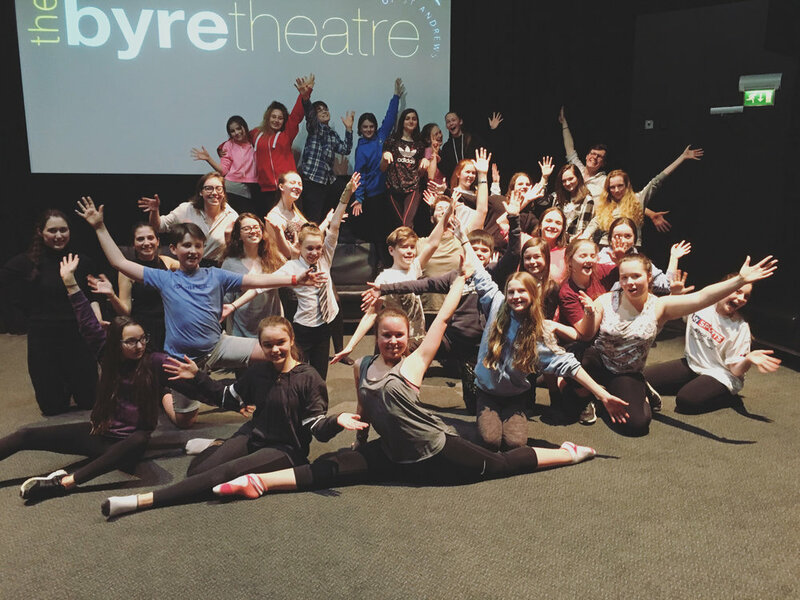 We also did some outreach workshops with the cast at Byre Youth Theatre, a local organisation which does acting and dancing classes, but no musical theatre classes. Meeting and working with the young people there on something they'd never seen before gave us a huge buzz as a company, and many of the participants who most enjoyed the workshops were seen in our audiences with their parents.